Also great location for a business to be close to Knowledge Perk area and its current growth. MLS#3498819. Allen Tate Rock Hill. Ellis Pond - Home comes with a 30-day buyback guarantee. Terms and conditions apply. MLS#3498453. Opendoor Brokerage LLC. New water line from well to house 2018. Come home today! MLS#3498663. EXP REALTY LLC. Springsteen Plantation - Located a hop-skip and jump away from some of Rock Hill's greatest dining, entertainment and shopping! 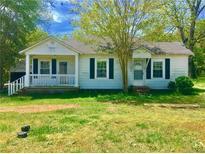 MLS#3470872. EXP Realty Piedmont. DEN opens out to 16X12 DECK, FENCED IN BACKYARD & 2 STORY 28X14 WIRED WORKSHOP! MLS#3498814. Keller Williams Ballantyne Area.